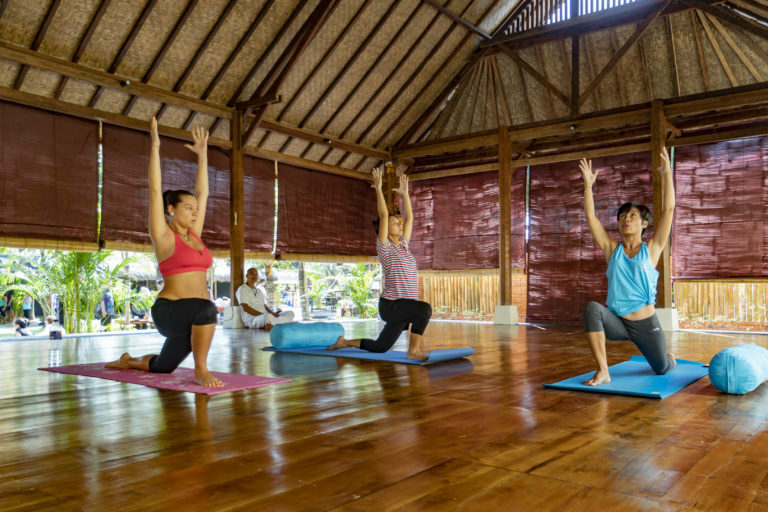 Yoga conditioning is a blend of traditional yoga and dynamic strength training for increased cardiovascular fitness, agility and body confidence. Featuring resistance training and high intensity intervals, yoga conditioning builds stamina, enhances the range of motion and improves aerobic capacity. This class consists of 2 elements Qigong and Yinyasa. Qigong is a holistic system of coordinated body postures and movement, breathing and meditation. It serves the purpose of staying young and healthy. During this part you will practice a simple 20 minute work out to cultivate your vital energy (Life Energy – Chi). A flow of yin yoga poses, which are started by interwoven experiences of dynamic movements (Yang) and brief static holds (Yin). This class gives you the best of both worlds wrapped up into one! Beginning with floor sun salutations then standing sun salutations with low lunges. Use the subtle warmth you have created as you are lead into yin poses like dragon and sleeping swan. Let go of right and wrong and stay with absolutely nothing. These practices encourage self-awareness and relaxation with the increase of suppleness. This is an invigorating practice, including breathing exercises or Pranayama and a short meditation. Rise and Shine yoga balances and harmonises your body, mind and soul. Through simple, subtle movements, accessible to everyone and by breathing, tensions are processed at a deep level. 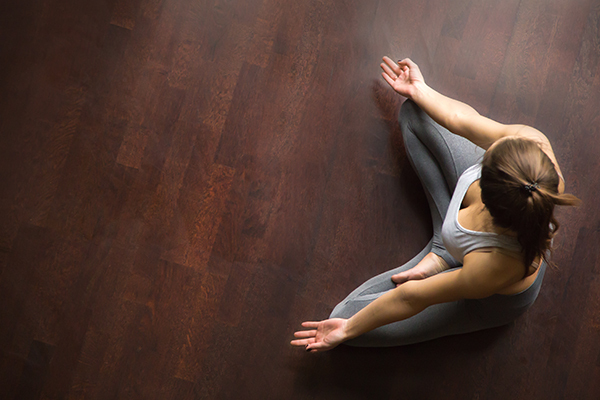 You’ll feel fully recharged and start your day with a calm mind and a yoga glow. Core Power yoga is a way to strengthen the back and abdominal muscles. The Core Power program involves doing power yoga poses in combination with moves specifically designed to tone the muscles. Core work, on the other hand, “quickens the blood and gets oxygen moving” throughout the body. The fast-paced flow of movement in Core Power yoga ensures that it’s an effective way of keeping physically fit. With regular practice, your strength, flexibility and endurance will take a giant leap forward. 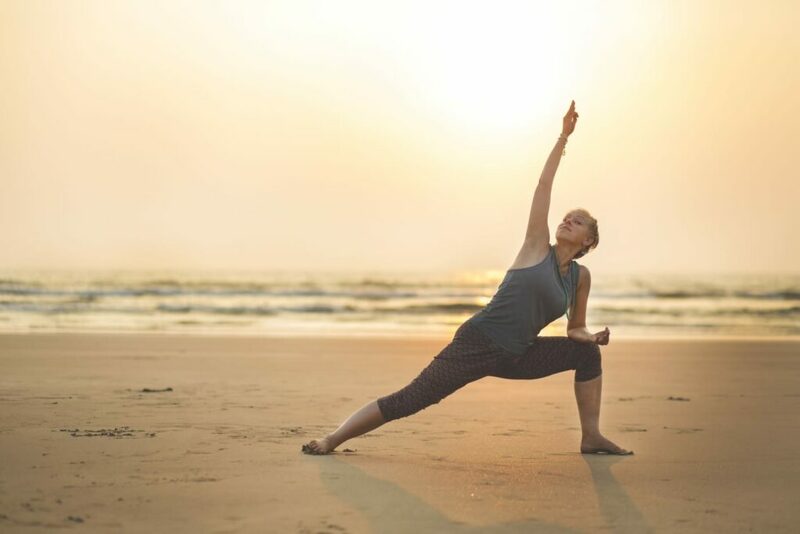 By focusing on connections between breath, poses and energy channels, Alami Yoga Healing achieves a certain level of meditation, focus, discipline, balance, (brain) flexibility, spirituality and stress release. Antastha is a meditative, yet dynamic practice. You are guided through your practice by the voice of the teacher only. Not having visual references by using a blindfold, the asana practice allows you to dive deeper into your inner world. Partner Yoga offers a practice to build trust, stronger communication and fun in any kind of relationship, whether it’s friendship, family, or your significant other. This practice brings people together through movement to maintain balance, alignment and focus, as well as about learning to let go and enjoy life. Come alone or with others, open for all levels. Yoga on a paddle board is super fun. Prepare to be thrilled, challenged and quickly addicted to the fluidity of yoga on a paddle board. The changing sky above you and the cool water below brings the feeling of serenity and calmness to your yoga practice. The sounds of nature and water make the perfect yoga music. You’ll re-discover many simple yoga poses in a new dimension and this makes you humble as a yoga practitioner. Balance, movement, judgement and concentration all demand a new level of strength and energy as your body, your mind, the board, the water and nature unite as one, a harmony of energy, tranquility and delight. Confidence and calmness in the water will certainly help, but you don’t need to be a strong swimmer to enjoy the excitement of SUP Yoga. Are you new to yoga? No worries, at some point we all were. You are welcome to discover the magic of yoga together with other curious souls. And no, you do not have to be flexible. You are guided through the basic yoga postures with a thorough explanation, giving you enough time to learn the basics of yoga and to explore the sensations in your body and your mind.  Restorative yoga teaches you how to deeply and completely relax. It is a passive yoga style where you make extensive use of support accessories such as cushions, blocks and blankets. You remain in the same position for a relatively long time (5 to 10 minutes). In full relaxation there is no movement, no effort and the mind becomes silent. The teacher will talk you through every posture. She will help you correct when necessary, so you can achieve the deep relaxation you are aiming for. During a Vinyasa class, you will go with the flow created by the rhythm of your breath. By focusing on this rhythm you get into a dynamic meditative state, where each yoga posture smoothly gives way to the next one. Flow Yoga is characterised by a more gentle pace than Vinyasa. It is still a dynamic practice though. Each pose prepares you for the following one, which allows the teacher a lot of creativity. During both Vinyasa and Flow, you use the Ujjayi breathing. By doing so, your breath becomes the center of your attention. Both types of yoga give you a strong and lean body. Broga is meant for men only. Get ready for some serious stretching and challenging strength and balance poses. Come and spend time with likeminded Bros! Yoga Nidra is an effective technique to fully and deeply relax physically, mentally and emotionally in a short period of time. When practicing Yoga Nidra you turn inward and eventually end up in a slumbering state, between sleeping and waking. However, the inner consciousness remains awake. You release physical and mental stress and remove blockages. Research shows that Yoga Nidra is effective in treating ailments such as post-traumatic stress, addiction, anxiety, insomnia, depression, burnout, pain, migraine and asthma. The relaxing effect of one hour of Yoga Nidra equals three hours of sleep. Regular Yoga Nidra practice will help you to stay calm and focused in challenging and stressful situations. Yoga Nidra is accessible to everyone. You do not need experience with meditation or yoga. At the beginning of a class you take your time to find a pleasant, lying posture. Once you’re comfortable, you listen to the voice of the teacher who will talk you through a structured meditation. After your practice, you’ll feel wonderfully relaxed. Yin yoga is all about being comfortably uncomfortable. You will hold a sitting or lying position for several minutes and calmly breath yourself through it. Gravity becomes your friend and little by little, you will sink deeper into the posture and the stretch. By holding the stretches for a long time, you reach the fascia or connective tissue that attaches, stabilizes, encloses, and separates muscles and other internal organs. We offer different Hatha Yoga classes with specific themes to discover. “Open Your Heart” will guide you through a series of backbends in order to increase your empathy and to be more aware to listen to your own heart. At the same time it gives you a boost of energy, improves posture, increases spine flexibility / mobility and decreases anxiety. “Hips Don’t Lie” invites you to an emotional detox by practicing a series of hip-openers. We will not only work on releasing buried feelings and insecurities but can also create space for the birth of new ideas and new pathways. On a physical level this practice will ease the tensions in the lower back and the hip joints, allowing you to feel lighter and more dynamic. “Twist and Detox” has a focus on twisting your upper and lower body toward opposite directions. This practice helps to regain flexibility in the spine, as well as in the hips, shoulders and abdomen. It also relieves tension in the hips and the back. As a bonus twisting compresses the internal organs and glands of the torso, forcing out metabolic waste. When the pressure is released, fresh blood rich with oxygen flows back into the organs, with a cleansing effect. “Core Power” lights up the powerhouse of your core muscles. This class consists of power yoga elements in combination with moves specifically designed to tone the abdominal and back muscles. A strong core is important for good balance, stability, endurance and flexibility. On a holistic level it gives you the will to stand up for yourself. “Sun Salutations” (Suriya Namaskar in Sanskrit) invites you to discover the most traditional yoga sequence in detail. Each round of Sun Salutation consists of two sets, and each set is composed of 12 yoga poses. Besides being a great cardiovascular workout, Surya Namaskar has an immensely positive impact on the body and mind. Surya Namaskar also provides an opportunity to express gratitude to the Sun for sustaining life on Planet Earth. Hatha KAPHA is a new system in Hatha yoga with advanced alignment techniques by activating muscles to gain energy. KAPHA has been created by Koko Yoga (Indonesia Yoga School) and it is an abbreviation of Koko Asana Principles of Human-body Alignment. The KAPHA technique & 3CORES, as a 2in1, can not be separated. KAPHA Yoga was founded in Indonesia and brings a new color for modern Hatha Yoga in todays world. Every month during full moon we invite you to meditate through dancing. You create your own dance, inspired by what you find on the spot, and you blend into the energy of the group. The standard Pilates system uses different pieces of equipment to train, whereas the Pilates Mat exercises are performed equipment-free on a (yoga) mat. Pilates Mat is a workout to strengthen your body, primarily the muscles of the core, also called the powerhouse. When movement is initiated from the center, the body moves the way it was designed to move. A strong core is essential in maintaining the physical health and avoiding injuries. Pilates Mat is suitable for a wide range of individuals, it can help people suffering from back pain, it is a good start for people who would like to live healthier and it is a great complementary training for athletes and dancers. Prenatal Yoga is suitable starting from the 4th month of pregnancy. Taking care of you and your baby while you are pregnant is important. At The Yoga Rescue, we share with all mothers to be, the journey of becoming a mother. Being pregnant, you need a special class tailored for you rather than joining the general classes. A Prenatal Yoga class will help you to be connected with your pregnancy and prepare your body and mind for the process of labor. With our Prenatal Yoga class, we aim to share the benefits from safe movements or poses, contraindications, pranayama or breathing exercises, pelvic floor exercise, OFP (Optimal Fetal Positioning) until sun salutations for Prenatal. See you soon at our Prenatal Yoga class to worry less and trust more.